Like we’ve mentioned already in the above text, we’ve used an active ice cream maker. The big difference between active and passive ice cream makers is timing. 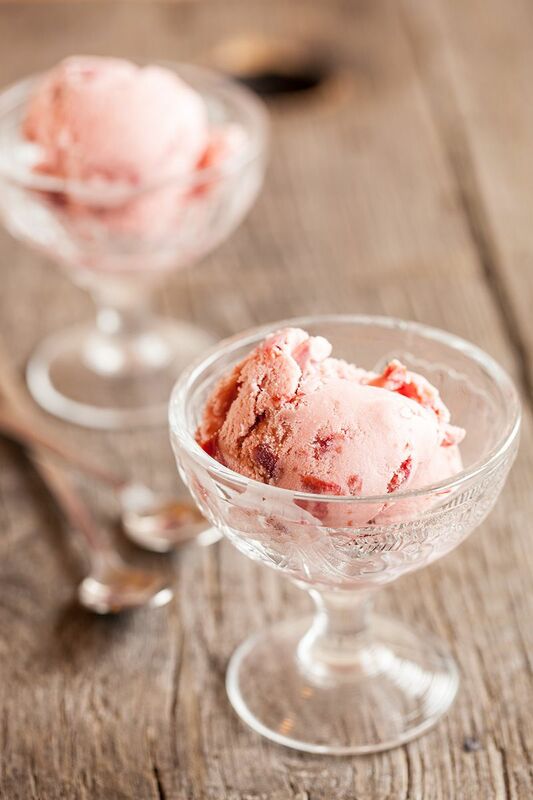 Ice cream makers are usually passive, this can be a hassle. The reason for this is that you’d have to think ahead one day before making ice cream. Please keep this in mind. 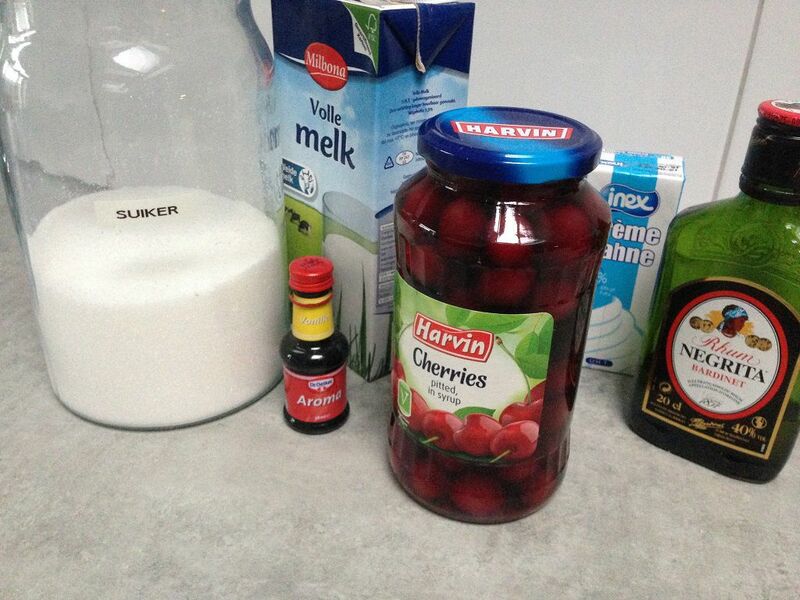 ADD cream, milk, vanilla extract, half of the sugar (85 gram) and cherry juice (not the cherry’s themselves!) into the medium-sized pan. Turn the heat up to medium-low until warm. Don’t bring to a boil. Meanwhile, whisk the egg yolk stiff along with the other half of the sugar (also 85 gram). When the color changes to a nice and creamy white, it’s ready. The texture of the mixture should be smooth and stiff. Continue whisking while gradually pouring the cream, milk and vanilla mixture into the bowl. Keep in mind to continue whisking, or else your mixture will probably turn into sweet scrambled eggs. This is because of the hot temperature of the cream, milk and vanilla mixture. POUR everything back into the medium-sized pan and turn the heat down all the way to low. Keep stirring until the egg yolks are cooked. Check this by dipping a wooden spoon into the mixture. If you are able to draw a line using your finger on the wooden spoon, it’s done! Turn off the heat and let cool off to room temperature. PREPARE your ice cream maker, or plug it in and set to cool. If the cherries are still whole, chop them into chunks. Otherwise you can just add them to the mixture. Mix the cherry chunks into the ice cream mixture. Optionally mix in one tablespoon of rum, or any other kind of liquor you’d like. POUR in the mixture and let the ice cream machine do its magic. This can usually take up to 40 to 45 minutes, of course depending on your machine. This is why you should let the mixture cool down before pouring it into the machine, it would just take way longer when it’s still hot. 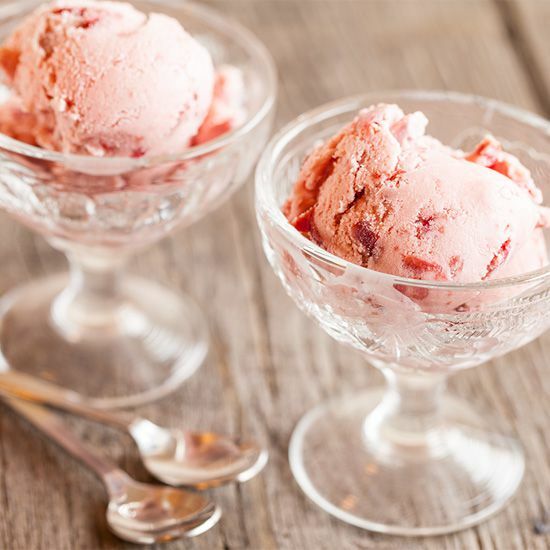 You can serve the ice cream immediately, or freeze it for usage later on. Enjoy! I love cherries! I’m sure this is delicious! 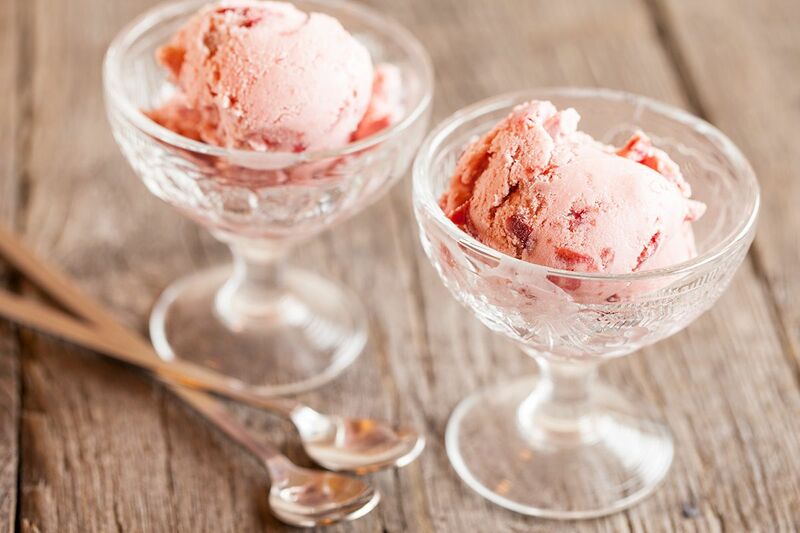 If you ever do make this cherry ice cream dessert, let us know what you think !